The ULTRA-LOW EMISSION BUS SCHEME winners have been announced, allocationg £48m to support the purchase of new buses and infrastructure from the Office for Low Emission Vehicles (OLEV) and the Department for Transport (DfT). 20 operators and local auhtorites have been awarded support for 263 Ultra Low Emission Buses, with 53 going to Wales. 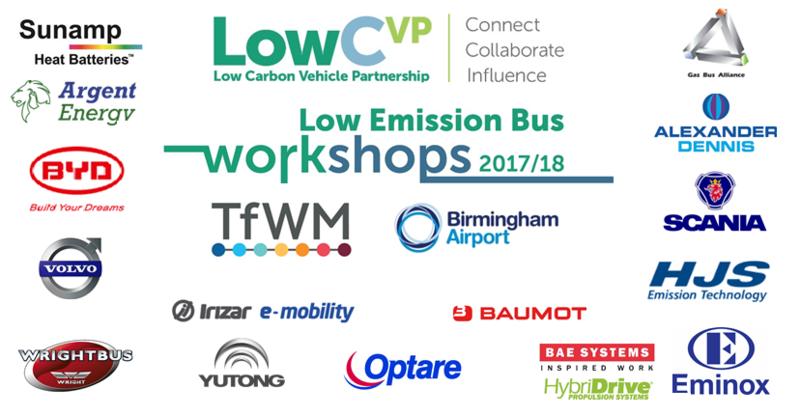 LowCVP are hosting free regional Low Emisison Bus workshops for local authorities and bus and coach operators to disseminate the real world experience of low emission technologies and fuels. The most recent workshop was held in Birmingham Airport on the 11th December 2018. As part of the £500m budget available to OLEV, £30m has been set aside to support the purchase of low emission buses across the UK. The Low Emission Bus Scheme builds on the success of the Green Bus Fund and Low Carbon Emission Bus accreditation scheme before it, which were developed by the LowCVP and has seen the introduction over 2,000 low carbon emission buses into UK bus fleets. Increase the uptake of low and ultra-low emission buses in local authority across England and Wales. Support the improvement in local air quality. Reduce the impact of road transport on climate change. Continue to support the UK manufacturing sector and attract investment to the UK. A list of vehicles that have demonstrated through the LUB test cycle at least a 15% GHG WTW saving, compared with a diesel bus of the equivalent passenger capacity, is available to view [HERE]. The Ultra-Low Emission Bus Scheme is the latest round of funding to support the purchase of Ultra Low Emission Buses and supportign infrastructure from the Office for Low Emission Vehicles (OLEV) and the Department for Transport (DfT). Deadline for applications to the scheme extended to the 16th July. The LowCVP publish test certificates of accredited Ultra Low Emission Buses which are required for manufactueres to recieve grant funding under the Ultra Low Emission Bus Scheme. A Well-to-Tank emissions factor, also known as upstream or indirect emissions, is an average of all the GHG emissions released into the atmosphere from the production, processing and delivery of a fuel or energy vector. These factors are used in calculating the greenhouse gas emission impact of Low and Ultra Low Emission Buses. The procedures for testing and accreditation of LEBs are based upon a type approval process. To determine whether a bus meets the minimum emission targets requires a whole vehicle emissions test, of both the potential Low Emission Bus and its diesel equivalent, to calculate and compare their relative WTW GHG emissions. Further details can be found in the section on testing and accreditation procedures. Shows the business, environmental and operational case for using low emission buses. Gives bus operators the knowledge and resource required to assess which vehicles are right for them. Provides case studies showing the cost savings achievable from the different types of low emission fuels and retrofit technologies. Provides useful information on the low emission bus market, government policy, infrastructure and where you can obtain more detailed assistance for assessing your fleet.